Ciara & Russell Wilson Make One Hot Couple at Vanity Fair's Oscars 2019 Party! 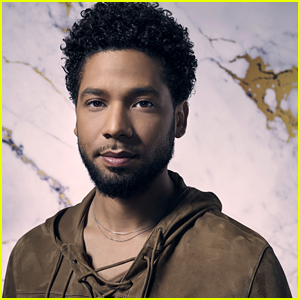 Ciara and Russell Wilson look so hot together at the 2019 Vanity Fair Oscar Party at the Wallis Annenberg Center for the Performing Arts on Sunday (February 24) in Beverly Hills, Calif.
Also seen walking the red carpet at the star-studded bash were the Haim sisters: Este, Danielle and Alana Haim. FYI: Ciara and Russell are wearing Versace looks. 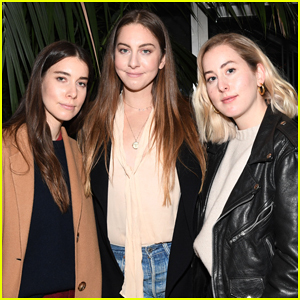 The Haim sisters are wearing Brock Collection. 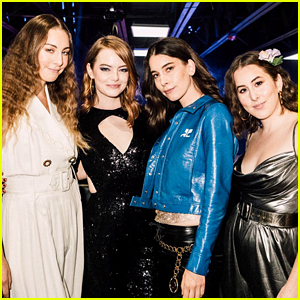 HAIM Supports 'Pen15' Cast at L.A. Screening - Watch Trailer! The Haim sisters flash a smile together while attending the special screening of PEN15 held at the NeueHouse Hollywood on Tuesday (February 5) in Los Angeles. The Grammy-nominated band – Danielle, Este and Alana Haim – were joined by Bob Odenkirk, BJ Novak, Will Forte, Jorma Taccone, Rebecca Black and the stars of the series Maya Erskine and Anna Konkle. PEN15 is middle school as it really happened. Maya and Anna star in this adult comedy, playing versions of themselves as thirteen-year-old outcasts in the year 2000, surrounded by actual thirteen-year-olds, where the best day of your life can turn into your worst with the stroke of a gel pen. The new series hits Hulu on February 8 – watch the trailer below! Lucy Boynton, Shailene Woodley, & Dakota Fanning Wear Ethereal Looks at Rodarte Show! Lucy Boynton, Shailene Woodley, and Dakota Fanning pose for photos while attending the Rodarte Fall/Winter 2019 Runway Show on Tuesday afternoon (February 5) at the Huntington Library in Pasadena, Calif. The three actresses were just some of the many stars who stepped out for the fashion show, which also served as the nationwide launch of JNSQ, the first Rosé brand created for millennial women. More stars included the Haim sisters, singer Maggie Rogers, If Beale Street Could Talk‘s Stephan James, Eighth Grade‘s Elsie Fisher, A Wrinkle in Time‘s Rowan Blanchard, The Nutcracker and the Four Realms‘ Mackenzie Foy, and dancer Maddie Ziegler. FYI: All of the women are wearing Rodarte. Lucy is wearing Chloe Gosselin shoes. Rowan is wearing APM Monaco earrings. Maggie is wearing Prada Eyewear sunglasses. Miley Cyrus and Jaime King walk the carpet at the Miu Miu Women’s Tales No. 17 screening on Friday night (January 25) at the Vista Theater in Los Angeles. The ladies stepped out to watch the short film Shako Mako, the latest chapter of the Miu Miu Women’s Tales series. Tons of stars stepped out for the event, including Amandla Stenberg, Rowan Blanchard, Bel Powley, Pom Klementieff, Sydney Sweeney, Rainey Qualley, Bonnie Wright, Lana Condor, Thomasin McKenzie, Josephine Langford, Sarah Ramos, Adria Arjona, Mamie Gummer, Alice Eve, Kilo Kish, and Haim. Ever want to see the Spice Girls perform live? How about with Emma Stone and Haim by your side? The stars are joining forces to launch on Omaze campaign in which the winner will fly to London to see a Spice Girls concert with them. The cherry on top will be getting a meet and greet with the group! 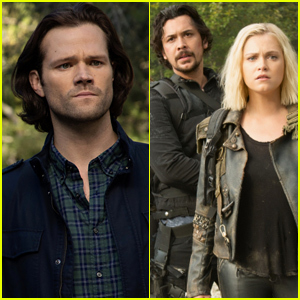 Proceeds from the campaign will be supporting PATH, Child Mind Institute, The Los Angeles LGBT Center, Comic Relief U.K., Girl Up, and Girls’ Education via Charities Aid Foundation of America. Enter now at Omaze.com/GirlPower! Last month, the four stars hosted a holiday party to raise money for Planned Parenthood. Haim & Nicole Scherzinger Step Out In Style for Golden Globes After Parties! The ladies of HAIM strike a fierce pose together while attending the Amazon Prime Video‘s 2019 Golden Globe Awards After Party held at The Beverly Hilton Hotel on Sunday (January 6) in Beverly Hills, Calif. The sister-trio – Este, 32, Danielle, 29, and Alana Haim, 26 – enjoyed their time at the bash, while Nicole Scherzinger, as well Rumer Willis, Maria Menounos and Emmy Raver-Lampman spent their evening at the InStyle & Warner Bros. Party. Other after parties throughout the night included the Amazon Prime Video Party, the HBO Party and the Netflix After Party. FYI: Nicole is wearing a Labourjoisie dress, a Loriblu clutch and shoes, and jewelry by Monica Vinader, AWE Inspired, and Magnolia and Vine. Rumer is wearing a Rami Kadi dress, Chloe Gosselin heels, and Swarovski jewels. Emmy is wearing a Dennis Basso dress, Manolo Blahnik shoes, and Dena Kemp jewelry. Maria is wearing a Celia Kritharioti dress.